So, I am officially nesting. We have rearranged furniture and moved things around- poor Josh. I know he hates it, but he has done so much! 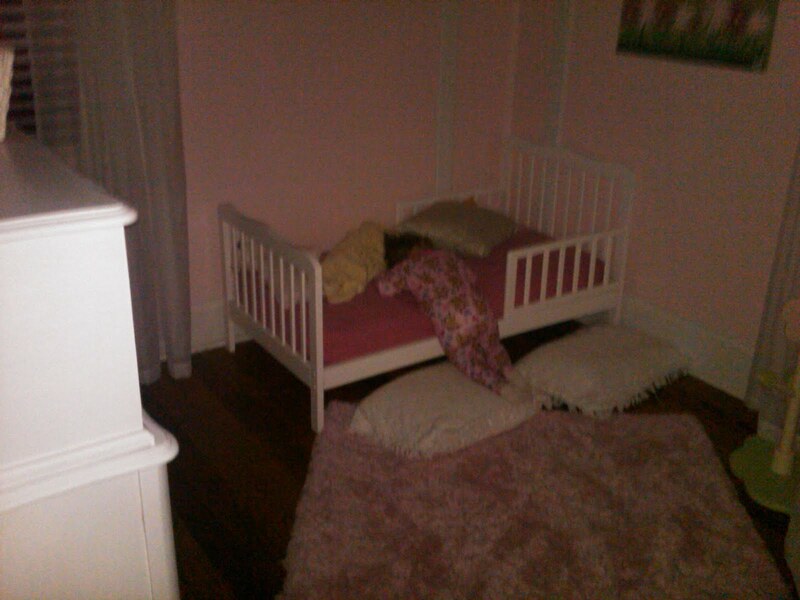 I bought Anabelle a toddler bed and we put it up this weekend. Her crib is now in "Baby Jack's" room across the hall. When she saw her new bed and dresser last night, she went crazy! She jumped on it like it was a trampoline, and we started to worry that it may never be a bed to her. She eventually laid down and let me read her some books. I finally left her to "sleep" and I hid in the bathroom to see how things would go. She cried at the doorway and then got really quiet. This is a scary moment, because you never know what curious little minds are up to. I crawled on all fours, peaked in the room, and she was face down on the bed trying to go to sleep. I went downstairs and still silence. 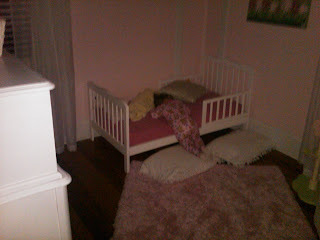 When Josh and I came upstairs, she was sacked out- with her head on the bed and the rest of her body on the floor! I laughed so hard I thought she would wake up. The pictures we took are with our cell phones, but maybe I can catch some with the big camera tonight. Proud to say that she slept the whole night in her bed like a big girl!